1956 Movie Premiere Of "Love Me Tender". . Wallpaper and background images in the Elvis Presley club tagged: photo. 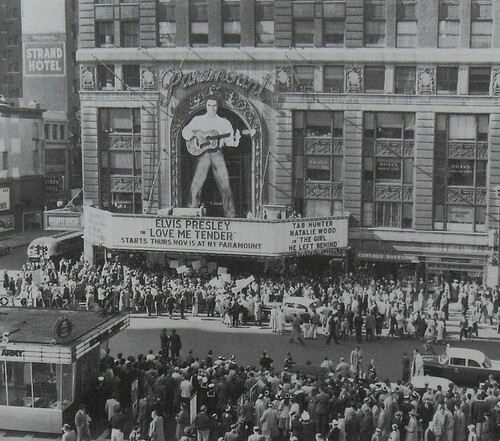 This Elvis Presley photo might contain reading room, business district, downtown, and multiplex.